Rispoli excited by huge progress! 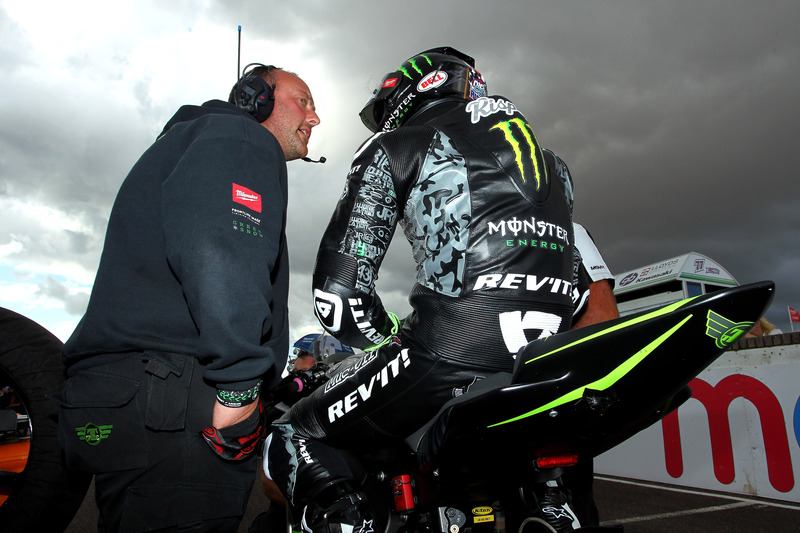 Team Traction Control’s riding ace James Rispoli is in great spirits after an exciting weekend of racing at Thruxton. The young American has taken on a huge challenge this year. By moving from the AMA Championship to race in the UK he’s having to learn new tracks and be part of a new team in its infancy. This weekend continued a staggering stint of progress that has seen James Rispoli go from struggling also-ran to a rider who’s posting top times and starting to believe he can make podiums in his first year racing in the British SuperSport Championship. Rispoli was on fine form and excited after first practice and qualifying for Saturday’s Sprint race, “We fixed electrical issues quickly and I learned the track. There was a little rain but I was happy to qualify in 9th. Felt good, bike felt good too,” said Rispoli. In the Sprint race itself James had a fantastic start and was up to 6th place at one point, riding with great confidence and right in a group battling between 6th to 11th for the entire race. He eventually finished in 9th overall and was happy to be right on pace with the fastest lap times. Sunday started with a very encouraging warm-up that saw Rispoli only 0.8sec off the leader’s time. Rispoli clearly starting to feel comfortable on the new R6 Yamaha and enjoying the racing. Whilst on the grid he also had supporting words and guidance from Monster Energy MotoGP star Bradley Smith who was along to watch. Those words obviously had good effect as James started well and moved up from 12th to 5th place at one stage. Even more encouraging than his position was James’ lap times through this feature race – absolutely on pace with the very fastest guys out there.